I think it is wonderful that Week 14 of the 52 Ancestors in 52 Weeks Challenge is The Maiden Aunt. So often these women get forgotten in history as they have no ancestors to research them. It is lovely to ensure the memory of these women lives on. 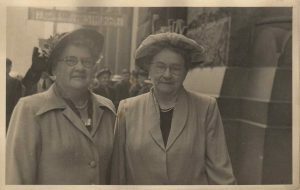 The maiden aunt I have chosen to write about today is my great-great-aunt Margaret. On the 20th February 1945, Auntie Mags home in Victoria Park was robbed. Auntie Mags continued to have a good relationship with her siblings into her old age. This picture is of her with my great-grandmother, Gladys. My mum remembers living with Auntie Mags for quite a while as a child in the family home in Duncan Street when they had nowhere else to live. Mum says she remembers going through the back fence to the church manse behind the house to play with their little girl. Sadly this home that had been in the family since WWI is now gone and a shopping centre is in its place. Mum recalls a story about Auntie Mags teaching – one day an aboriginal man came into her classroom, sat down and refused to leave because he wanted to go to school. She gave him a pen and paper so he could learn. As each of her great-nieces and great-nephews had a child, Auntie Mags would make them a layette for the new baby. It was no mean feat given she had at least 20 nieces and nephews, many of whom went on to have their own children! I never received one because Mum says as the family thought she would never marry Auntie Mags made her something else before she went nursing overseas. I never got to meet Auntie Mags but heard stories about her as I grew up. Unfortunately, I never wrote them down. Writing this article has made me realise how little I know about her. Quite often these women get forgotten in the family tree as they don’t have their own descendants. I am making a note to spend some time research her teaching career and see if I can find some more out about her. Do you have a maiden aunt in your tree? Find out more about her by clicking the image to look at the records on Ancestry. 1. Ancestry.com. Australia, Birth Index, 1788-1922 [database on-line]. 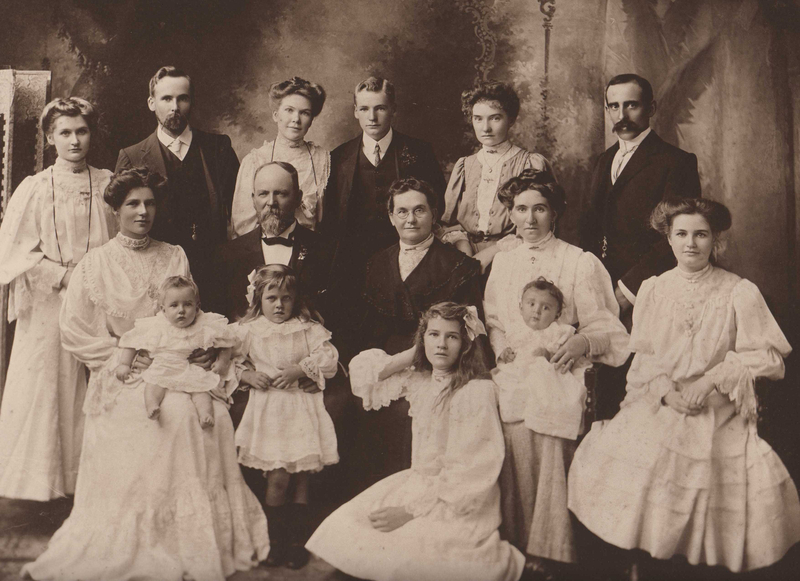 Provo, UT, USA: Ancestry.com Operations Inc., 2010. Margaret Emily Matheson, 1883 Registration Number 12440, West MacQuarie, New South Wales. 2. 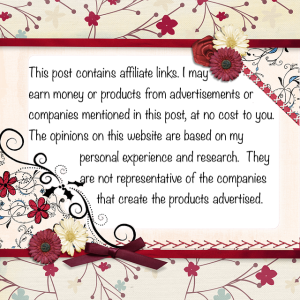 Marjorey June Brand, The Friendship Birthday Book, Original in author’s possession. 3. Findmypast, Birth Index of Gladys Gwendoline Matheson, 1894/5859 Bathurst, New South Wales, http://search.findmypast.com.au/record?id=anz%2fbmd%2fnsw%2fb%2f0000901902. 4. Western Australia Electoral Roll, 1910, Division: Fremantle, Subdivision: Canning, p.28, Matheson – Charles Jardine, Edith, Robert, Georgina Emily, and Margaret Emily. 5. Western Australia Electoral Roll, 1916, Division: Fremantle, Subdivision: Canning, p.52, Matheson – Charles Jardine, Edith, Georgina Emily, Margaret Emily, Robert, and Robert Hilton. 6. National Archives of Australia, Service Record of MATHESON Robert Hilton : Service Number ­ 3456, http://recordsearch.naa.gov.au/SearchNRetrieve/Interface/ViewImage.aspx?B=8039494, Accessed 25 June 2016. 7. Western Australia Electoral Roll, 1925, Division: Swan, Subdivision: Canning, p.93, Matheson – Edith, Margaret Emily, and Robert. 8. Western Australia Electoral Roll, 1931, Division: Swan, Subdivision: Canning, Matheson – Edith, Margaret Emily, Robert. 9. West Australian (Perth, WA : 1879 – 1954), Friday 23 February 1945, page 2, http://nla.gov.au/nla.news-article44998688, Accessed 20 February 2016. 10. 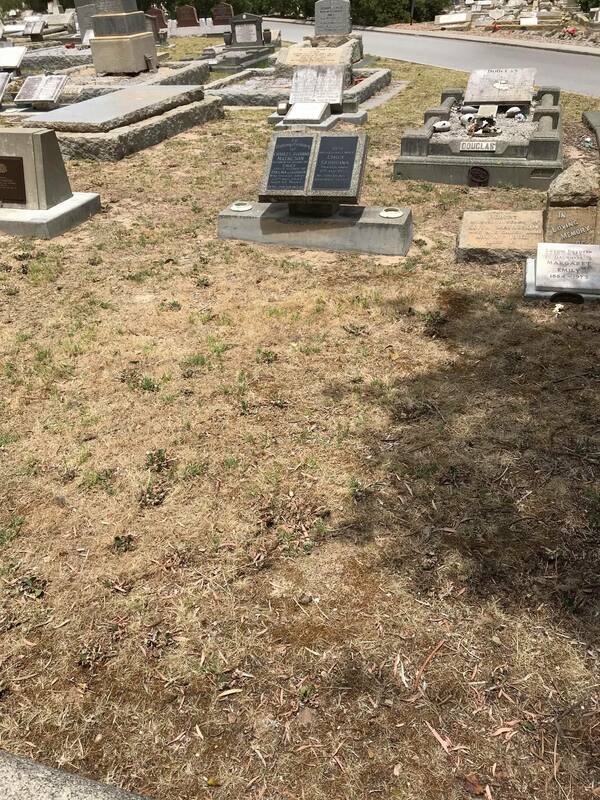 Cemetery Index, Metropolitan Cemeteries Board, Western Australia, App. No.KC00042187, Margaret Emily Matheson. a. C.1906 Matheson Family – Auntie Mags is back row, second from the right, Original in owner’s possession. 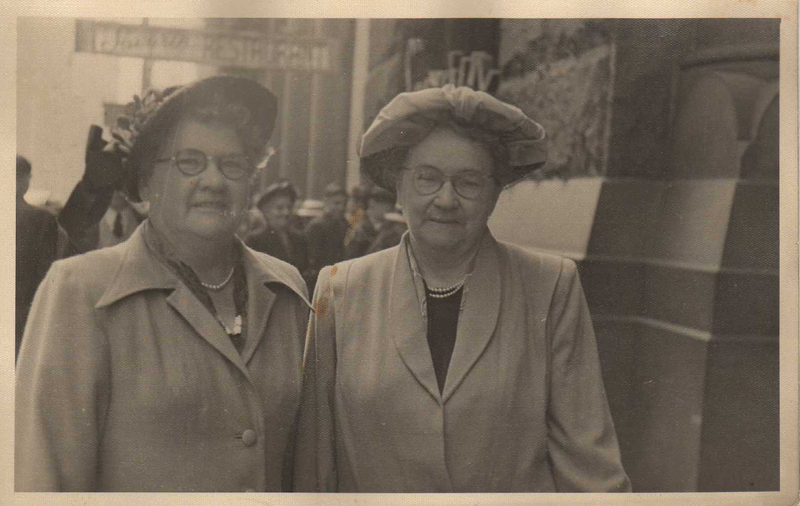 b. C.1950’s Gladys Gwendoline Matheson and Margaret Emily Matheson, Original in author’s possession. 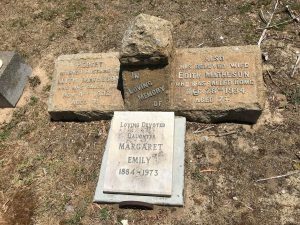 c. Margaret Emily Matheson Gravesite, Karrakatta Cemetery, Perth, Western Australia, Original in author’s possession. d. Margaret Emily Matheson Headstone, Karrakatta Cemetery, Perth, Western Australia, Original in author’s possession. I enjoyed working on my family history years ago, but wouldn’t had thought about talking about the Maiden Aunt. You have quite a bit of information on her. I don’t think I could write this much about most of the ancestors that I have found. Looks like you’ve done a great job here. This looks great! I am so glad I stumbled across the 52 Ancestors in 52 Weeks challenge. It has forced me to dig to find the people that most fit the weeks challenge. I had always just glossed over the maiden aunts but I think from now on I am going to pay them a bit more attention so they are not forgotten. It is highly likely that Auntie Mags was a maiden aunt because the number of men killed in WWI meant many women didn’t find husbands.